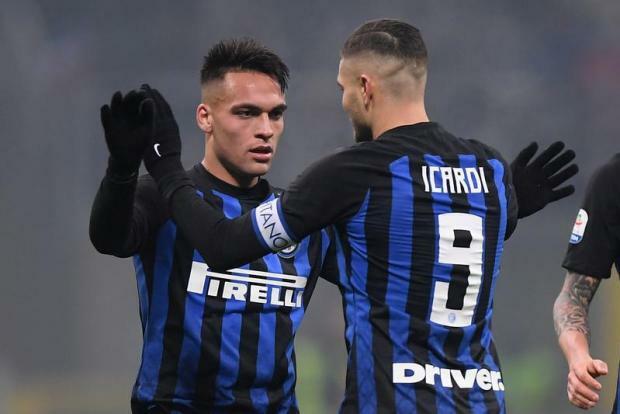 Inter's Lautaro Martinez (Left) and Mauro Icardi. nter Milan cruised into the quarter-finals of the Coppa Italia on Sunday after beating second-tier Benevento 6-2 in a match played behind closed doors following the racist abuse of Senegal defender Kalidou Koulibaly last month. Inter played ran riot in an empty San Siro as part of the punishment the club received for the monkey chants directed at Koulibaly during their 1-0 Boxing Day win over Napoli. Inter were two up inside seven minutes thanks to a roaring start that saw Mauro Icardi open the scoring from the spot following a foul on Antonio Candreva, who was on hand to crash home after striker Icardi hit the post from a corner to double the hosts' lead. Candreva's second deep into added time was the cherry on the cake for Luciano Spalletti's side, who in the quarters will take on Lazio, embroiled in a racism scandal of their own.